A McKinsey researcher says that while robots and machines will usurp some jobs, most humans will take on new roles as automation boosts productivity. Fears that accelerating automation is going to eat its lion's share of jobs continue to plague corporate sectors. However, new research from McKinsey Global Institute may talk folks afflicted with automation phobias down from the ledge. The research group says that although half of today’s work activities could be automated, it may not happen until 2055. Or 2035. Or even 2075. Where the statistic falls along the S curve depends on various factors, such as breakthroughs in artificial intelligence and economic conditions, says Michael Chui, a McKinsey Global Institute partner and an author of the report. Chuiand other researchers analyzed 800 occupations and 2,000 job tasks. The McKinsey report presents a sobering position at a time when researchers and news headlines suggest self-driving cars, merchandise and food delivery via drones and robots, humanoid concierges and a myriad of other technology innovations once considered pie-in-the-sky are going to replace most jobs. 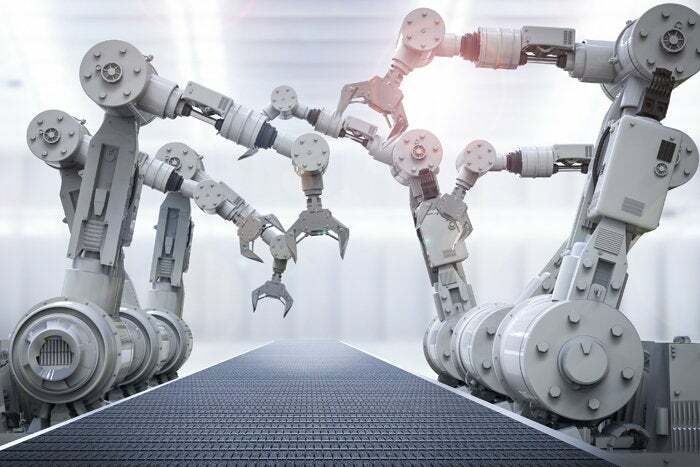 Automation can enable businesses to improve performance by reducing errors and improving quality and speed, achieving outcomes that surpass human capabilities. Automation will also boost productivity -- 0.8 to 1.4 percent annually for decades -- fortifying economic growth and helping to offset the reduction of working-age population in many countries, according to Chui. The actual impact on occupations is a tougher picture to paint. Chui says that only about 5 percent of total occupations will be fully automated and 60 percent of all jobs include 30 percent of activities that may be automated. But automation will largely augment rather than replace work tasks, streamlining certain activities that make up an entire position rather than duplicating entire occupations. Activities most susceptible to automation are physical tasks in highly structured and predictable environments, as well as data collection and processing. Such predictable tasks, which account for 51 percent of activities in the U.S. economy, are most prevalent in manufacturing, accommodation and food service, and retail trade. Machines and humans will complement each other to stimulate economic growth. It's a favorite sentiment of technology leaders such as IBM CEO Ginni Rometty who said at the World Economic Forum in Davos, Switzerland, Tuesday that it's not "man or machine" but a symbiotic relationship in which machines complement humans. Most workers who are displaced by automation will find other employment, which will require employees to learn new skills and align with transforming business processes. “We're going to need everybody working plus the robots in order to have the economic growth that we need and so we will need to create new jobs, activities, etc.,” Chui says. Here come the caveats, which fittingly, depend on people and machines. While McKinsey believes that half of all the activities people are paid to do could be automated using current technologies, Chui says that it’s hard to accurately predict automation’s rate, let alone its impact on the world. "People are going to make decisions that will cause things to happen more quickly or more slowly, which is what we wanted to reflect in our modeling," Chui says. "What will actually happen is going to be determined by the decisions that technologists, policymakers and business leaders make and we want to reflect that in our model." It's also impossible to anticipate breakthroughs in artificial intelligence, including natural language processing and machine learning capabilities, that may accelerate automation, as well as to what extent they will create new jobs. Advances in natural language processing and machine learning produce a Cambrian crush of light AI technologies emerged in 2016. Chatbots have extended from messaging platforms to corporate IT departments while ecosystems are springing up around virtual assistants such as Amazon.com's Alexa. Roboadvisers, in which software assists with delivering financial advice, are increasingly becoming a standard offering in financial services. As a result, Chui says that it is tough to estimate AI’s potential as machines learn to process natural language more effectively. "It will unlock a lot of potential," Chui says. But most corporate IT departments are just beginning to figure out how to incorporate AI to better serve customers, according to Forrester Research. Despite strong interest in investing in AI technologies, many enterprises don’t understand how to apply AI to meet specific business objectives. Another hurdle: The talent pool is essentially the human capital management equivalent of a puddle, which means deploying AI in a business context is challenging. It’s a fair point. Capital One, Whirlpool and Wingstop are among the dozens of company’s using Alexa to bolster customer service, but the impact the technology will have on their businesses is unclear. As Wingstop CIO Stacy Peterson told CIO.com, Alexa is largely a software service for tech-savvy consumers. So what does this all mean for the CIO? Chui recommends that CIO's continue to expand their experimentation with AI and automation tools, which are rapidly becoming table stakes for business operations. "I think that's more true than it’s ever been going forward," Chui says.